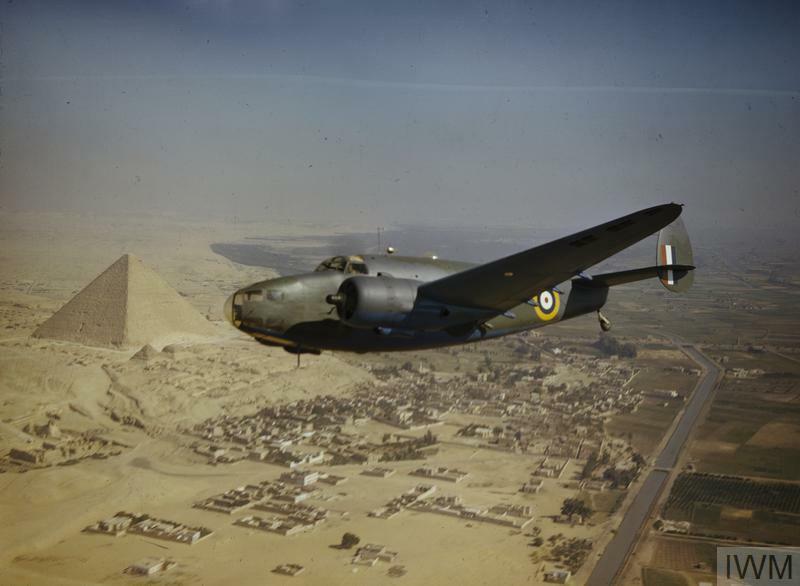 A Royal Air Force Lockheed Hudson Mk VI (AE626) of the Middle East Communications Flight flying over the Egyptian pyramids, 1942. 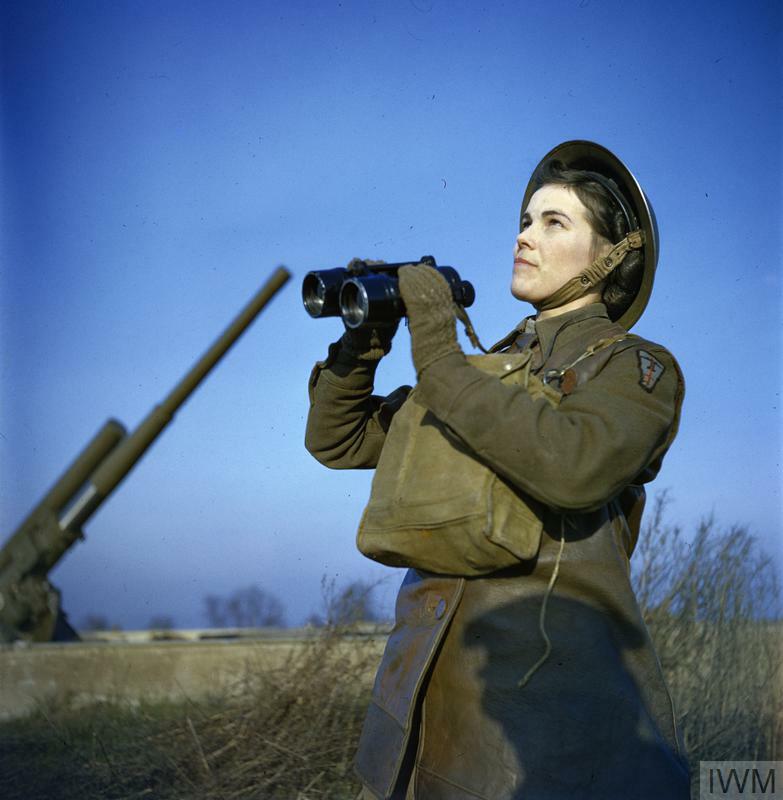 An Auxiliary Territorial Service (ATS) spotter with binoculars at an anti-aircraft command post, December 1942. 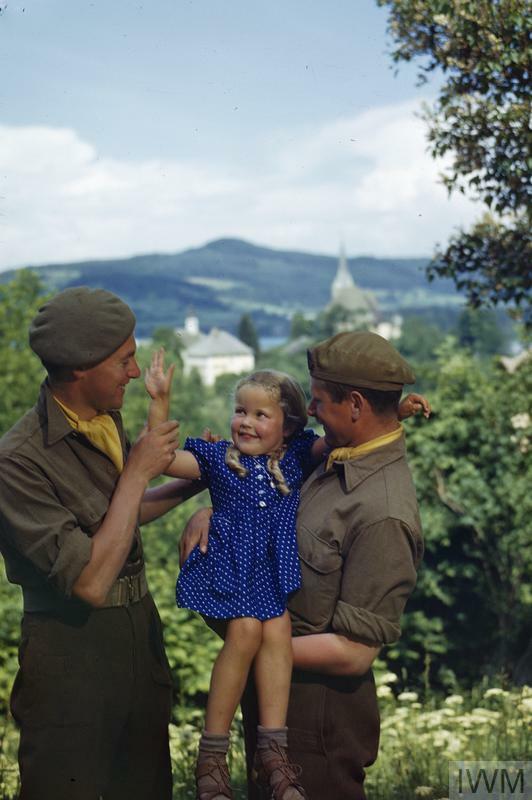 Two soldiers of the Royal Military Police with Anna, a four-year-old Austrian girl with whose family the men were billeted, in the Klagenfurt area of occupied Austria, May 1945. 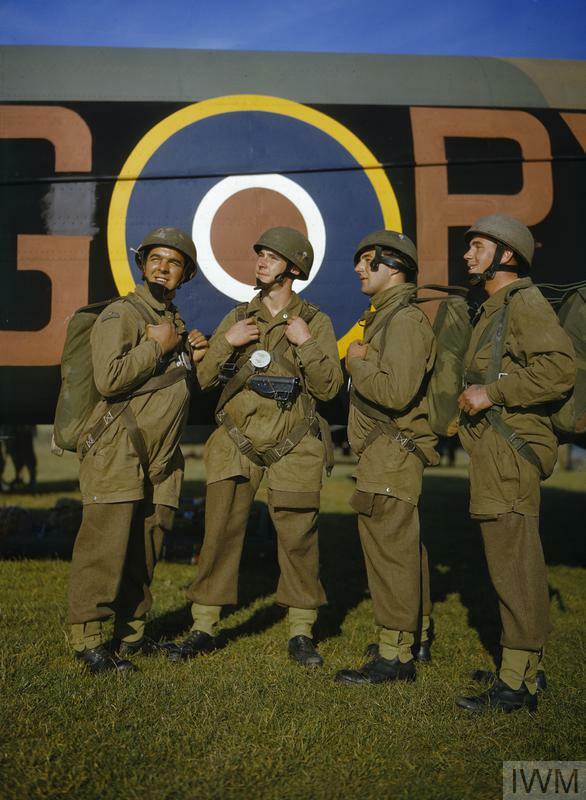 Men of the Airborne Division adjust their harnesses alongside an Armstrong Whitworth Whitley 'PX-G' of No. 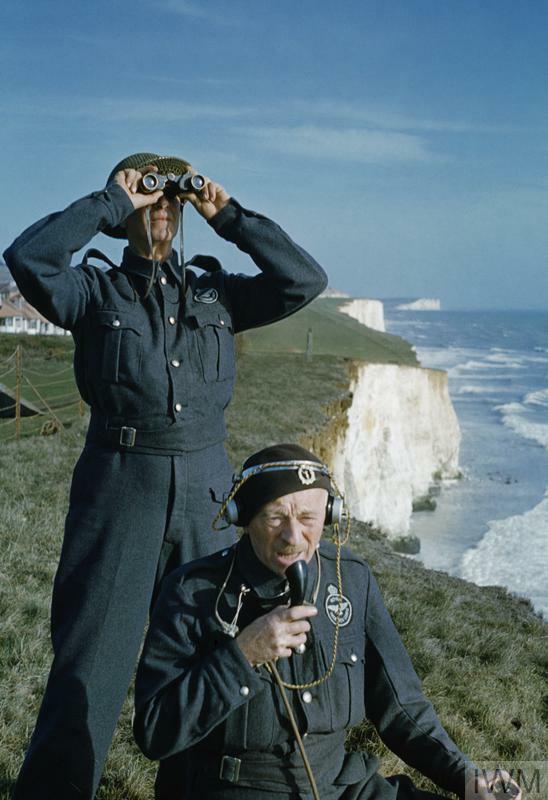 295 Squadron RAF, October 1942. 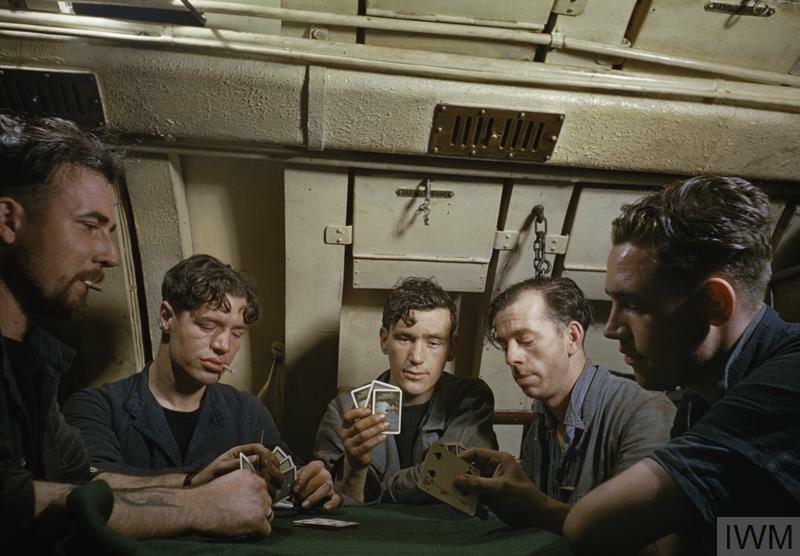 Men of the Royal Navy play cards on board the submarine HMS Tribune, 1942. Winston Churchill with his chiefs of staff in the garden of No. 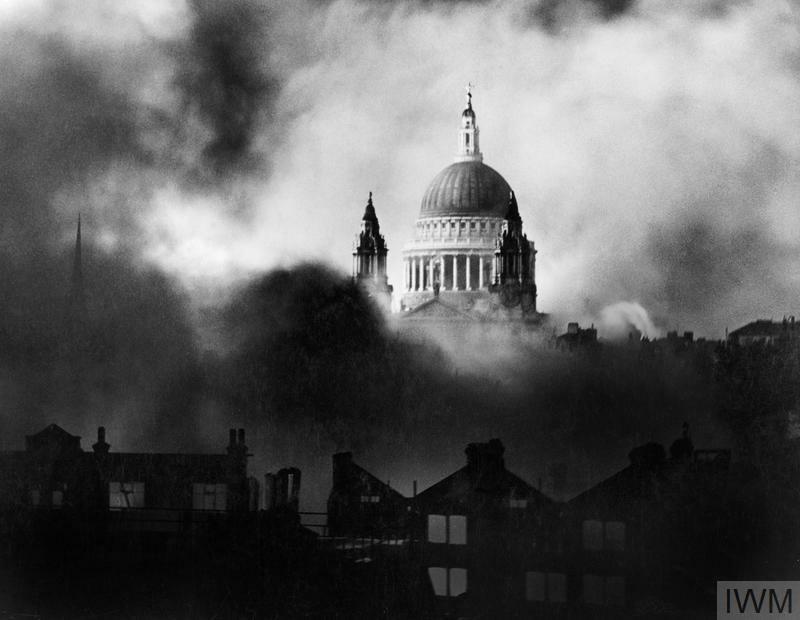 10 Downing Street on the day Germany surrendered to the Allies, 7 May 1945. 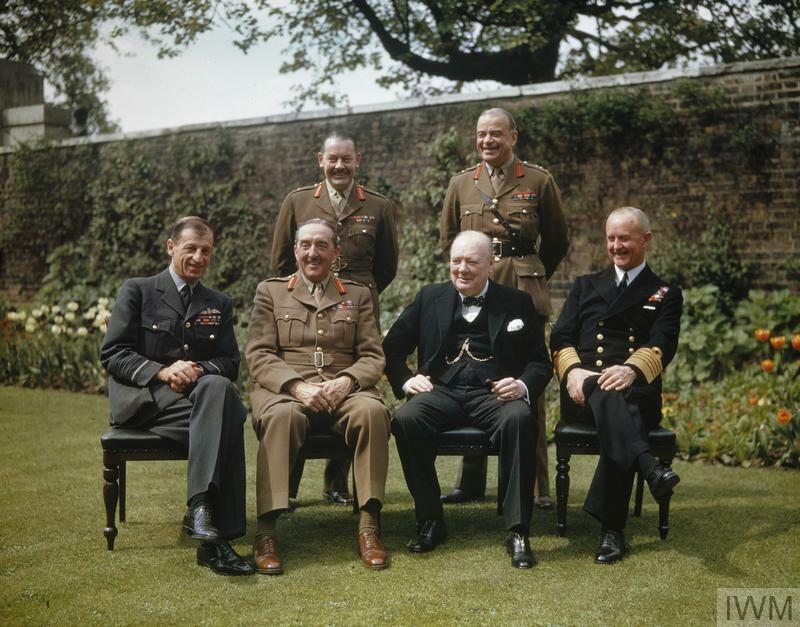 Seated left to right: Air Chief Marshal Sir Charles Portal, Field Marshal Sir Alan Brooke, Prime Minister Winston Churchill, Admiral Sir Andrew Cunningham. Standing left to right: Secretary to the Chiefs of Staffs Committee Major-General L C Hollis and Chief of Staff to the Minister of Defence General Sir Hastings Ismay. 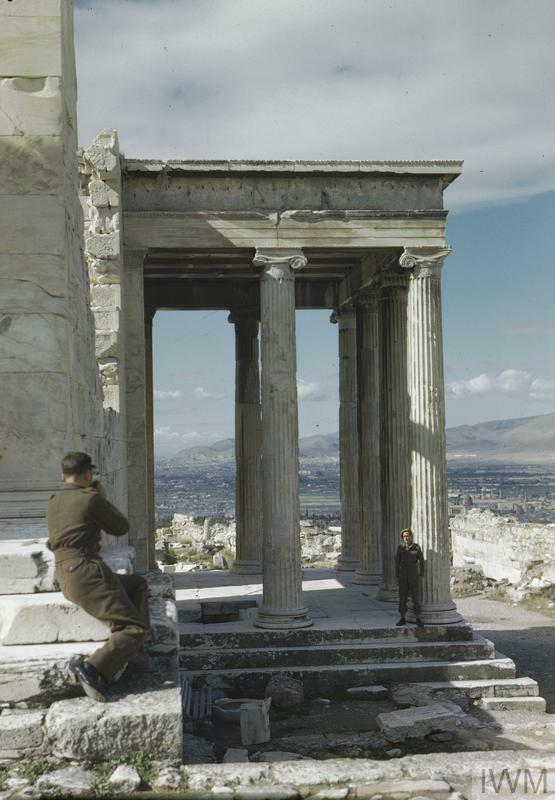 Sergeant R Gregory photographs Driver A Hardman during a tour of the Acropolis in Athens, October 1944. 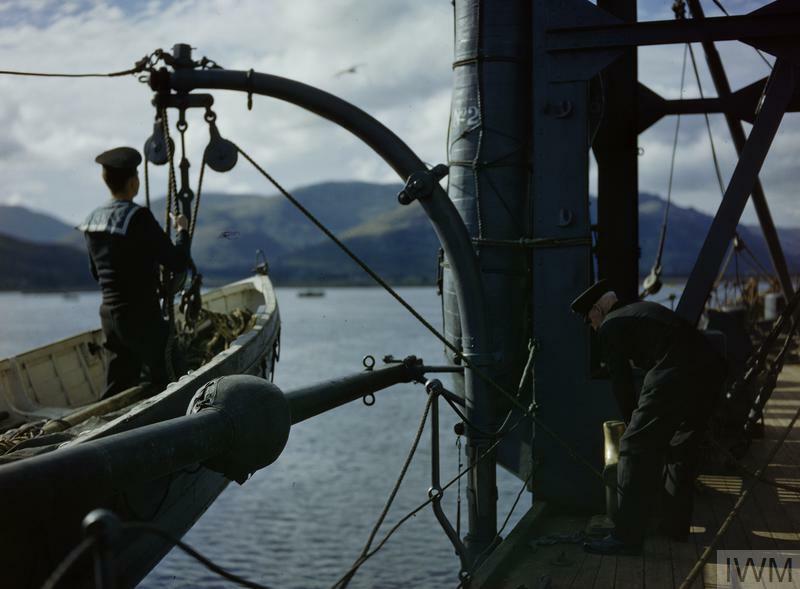 An officer and a rating launch a dinghy from HMS Forth on Holy Loch, Scotland, 1942. 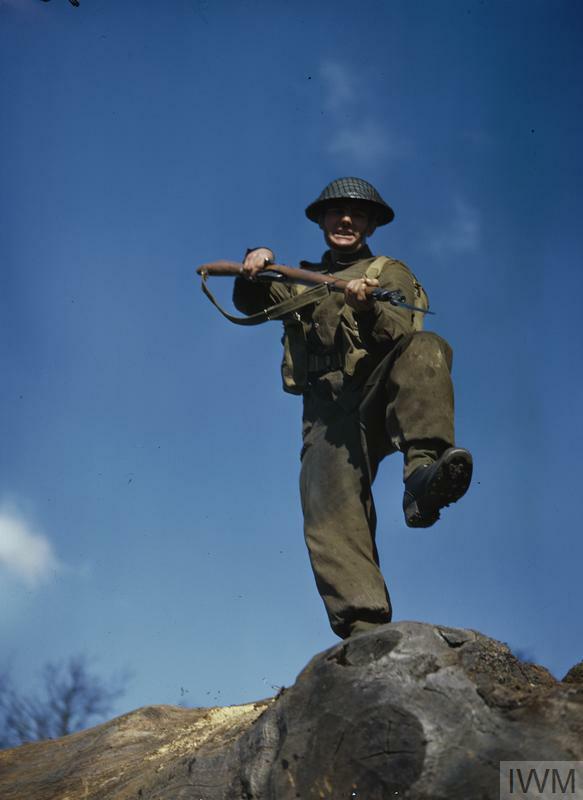 Private T Henderson practices an assault with a fixed bayonet during training, 1944. 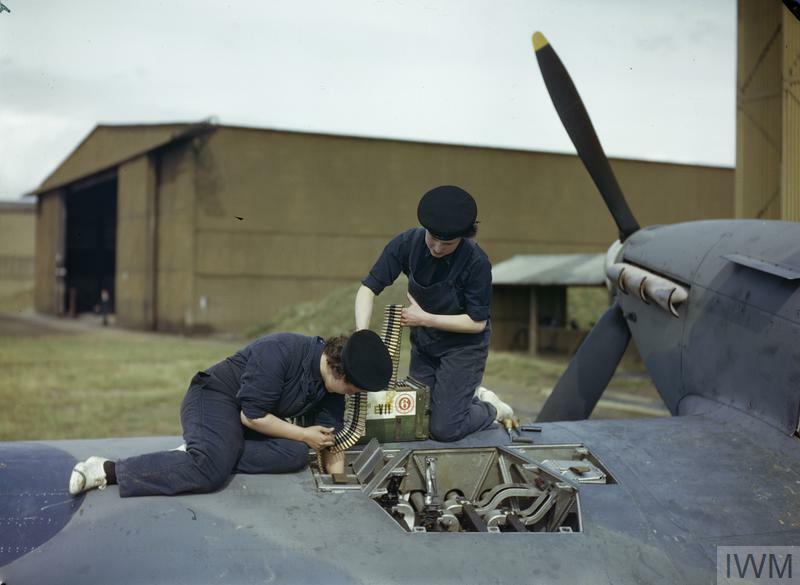 Armourers of the Women's Royal Naval Service (WRNS) re-arm a Hawker Hurricane aircraft at the Fleet Air Arm airfield at Yeovilton, Somerset, 2 September 1943. 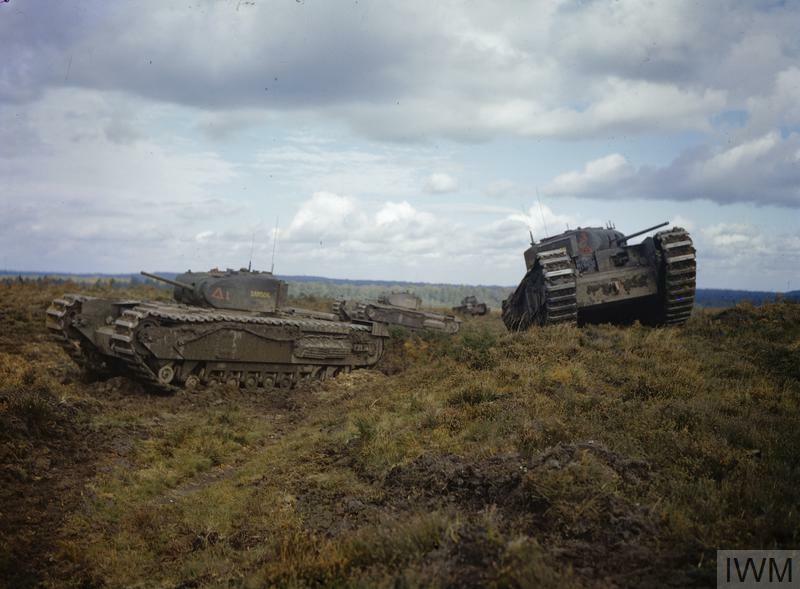 Churchill tanks of A and B Squadrons, 43rd Battalion, Royal Tank Regiment, 33rd Brigade negotiate obstacles during training, October 1942. 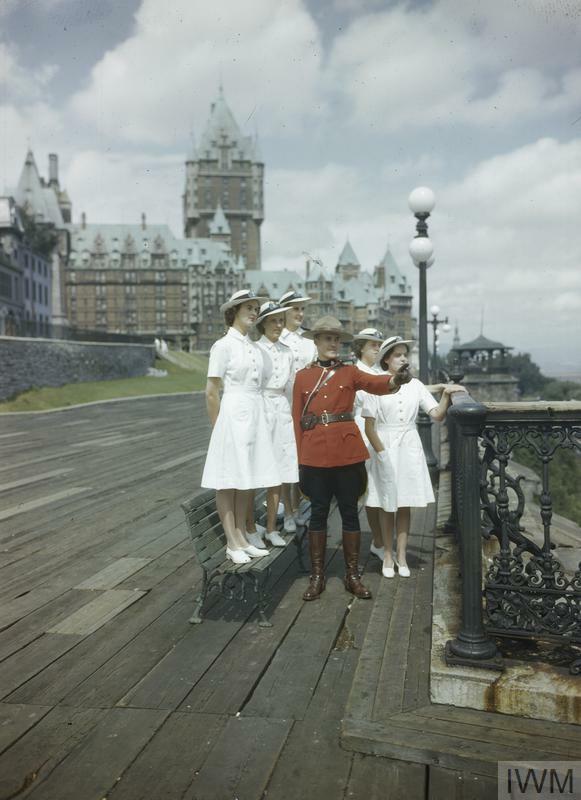 WRNS officers are shown the sights of Quebec by a member of the Canadian Mounted Police Force after the first Quebec Conference, 23 August 1943. 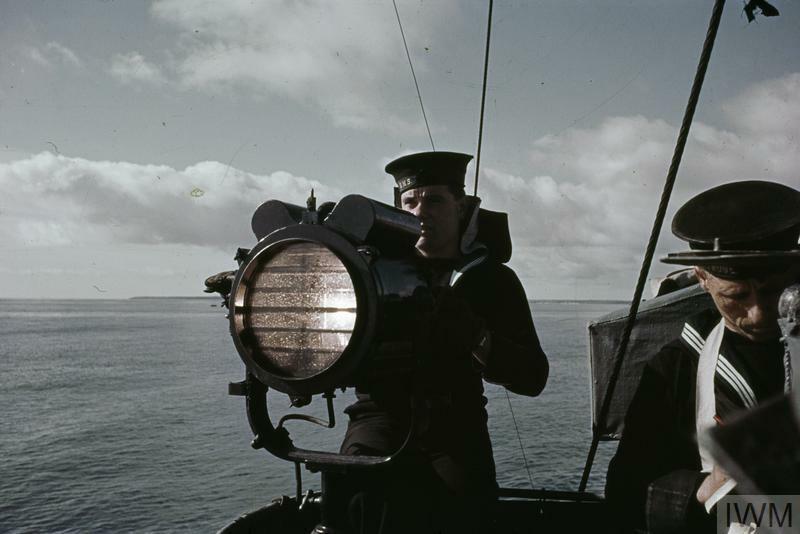 A signaller operates an Aldis lamp on board a British warship, 1942. 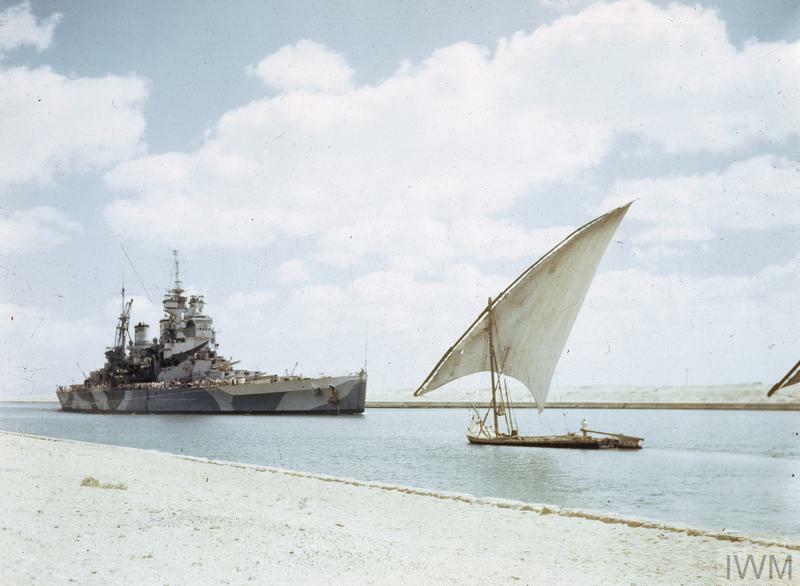 HMS Howe passes through the Suez Canal on her way to join the British Pacific Fleet, 14 July 1944. 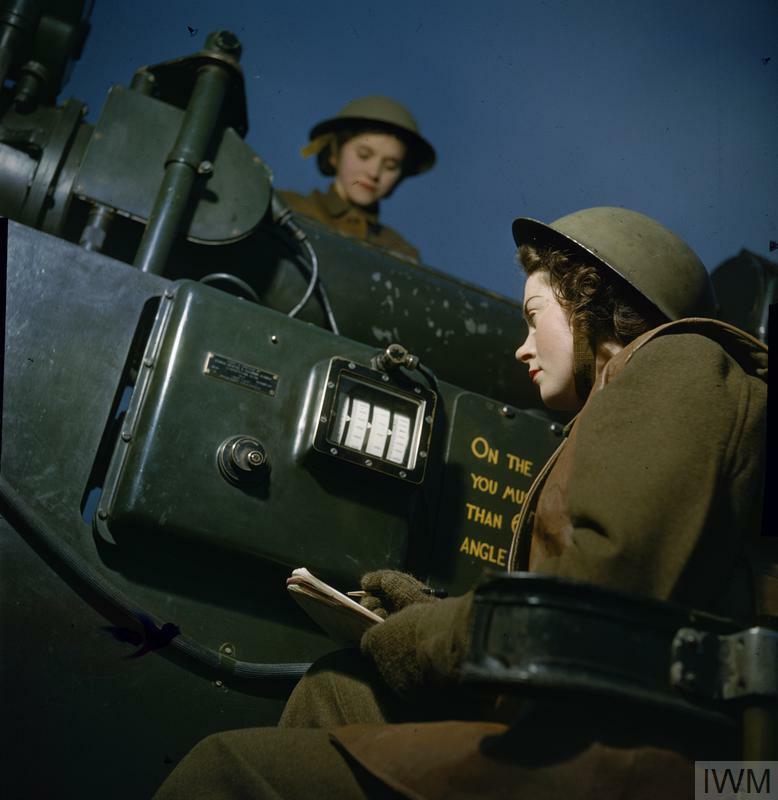 Members of the ATS operate the height and range finder at an anti-aircraft gun site, December 1942. 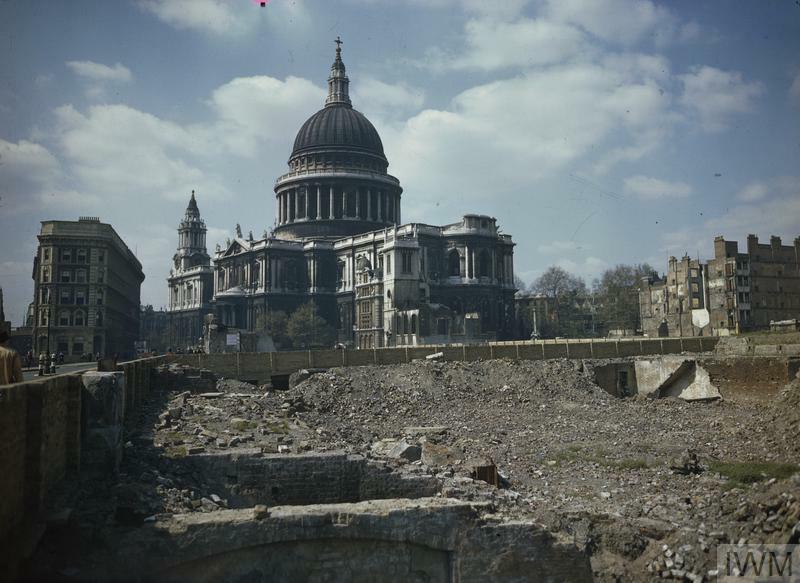 A view of bomb damage in the area around St Paul's Cathedral, 1944. 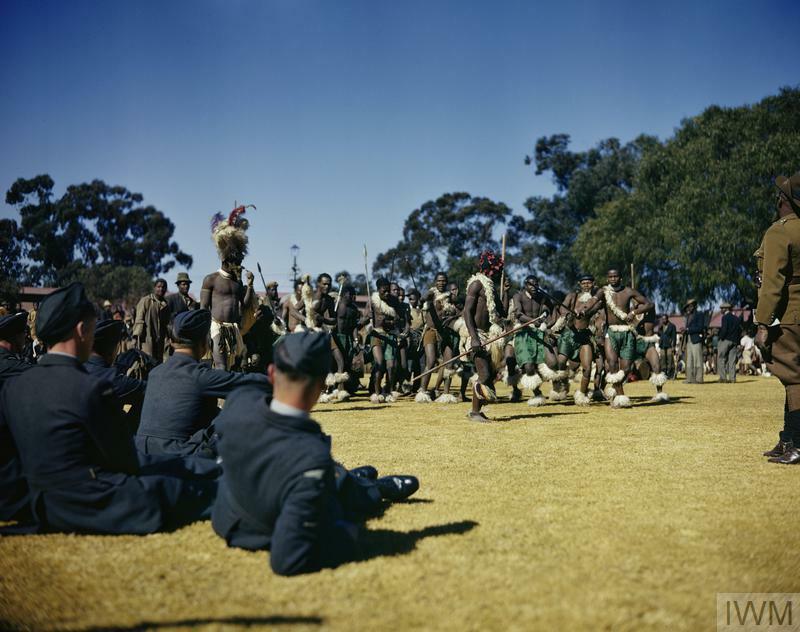 RAF cadets watching a traditional Zulu dance in Johannesburg, September 1943. 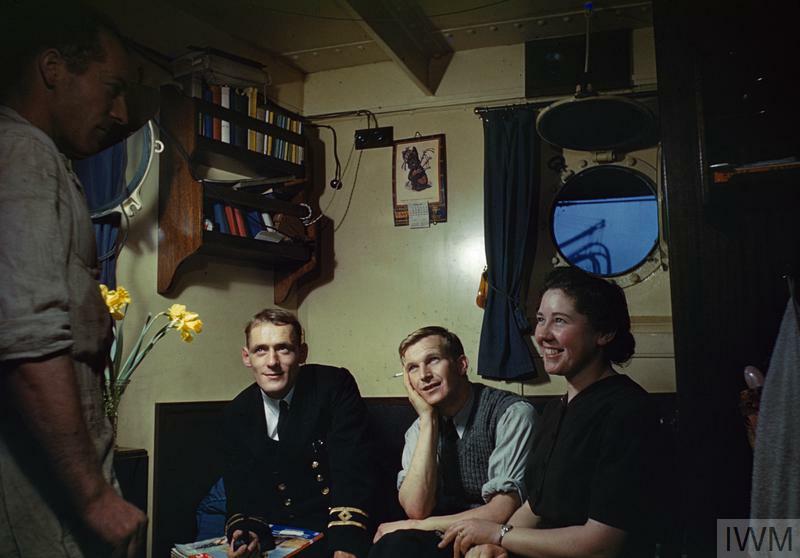 Wives and sweethearts visit on board the SS Empire Faith before the ship heads out to sea again, 16 February 1943. 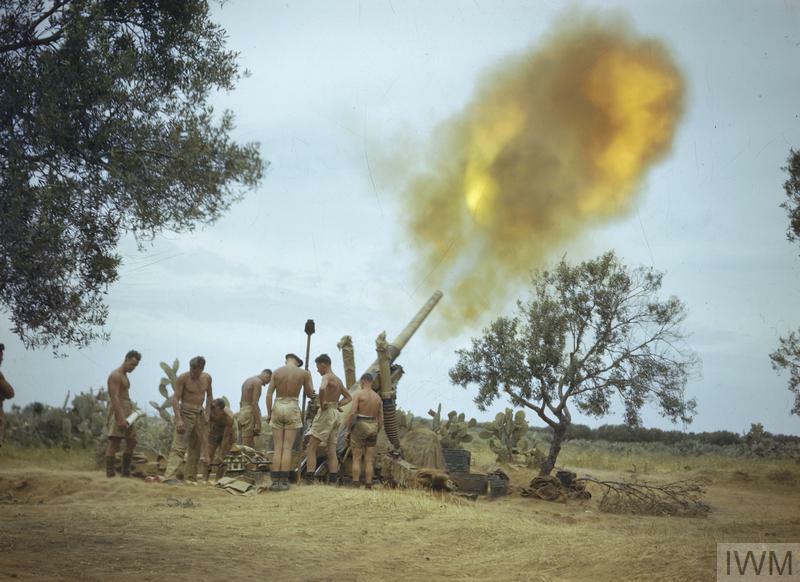 Soldiers of the Eighth Army in Tunisia fire a 4.5-inch gun four miles from the enemy lines, 1943. 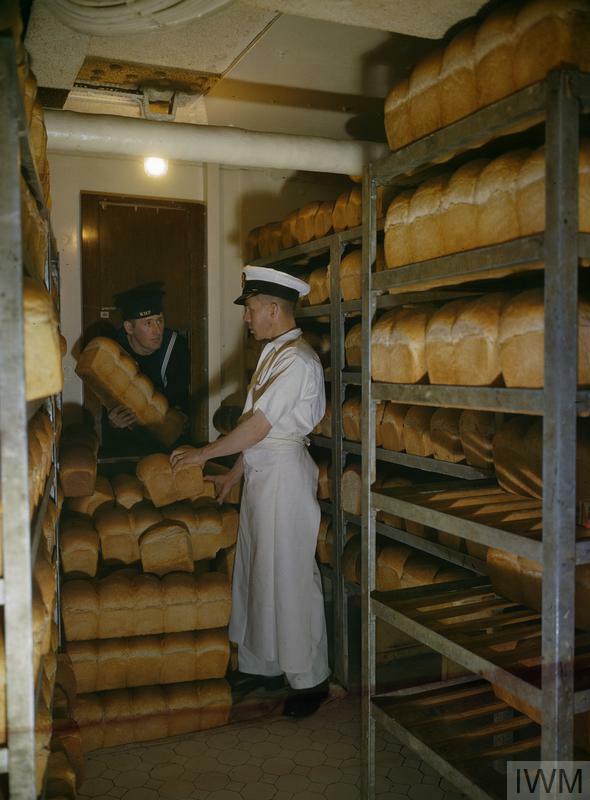 A naval rating collects bread for his mess from the battleship's bakery, November 1942. 22. Short back and sides? 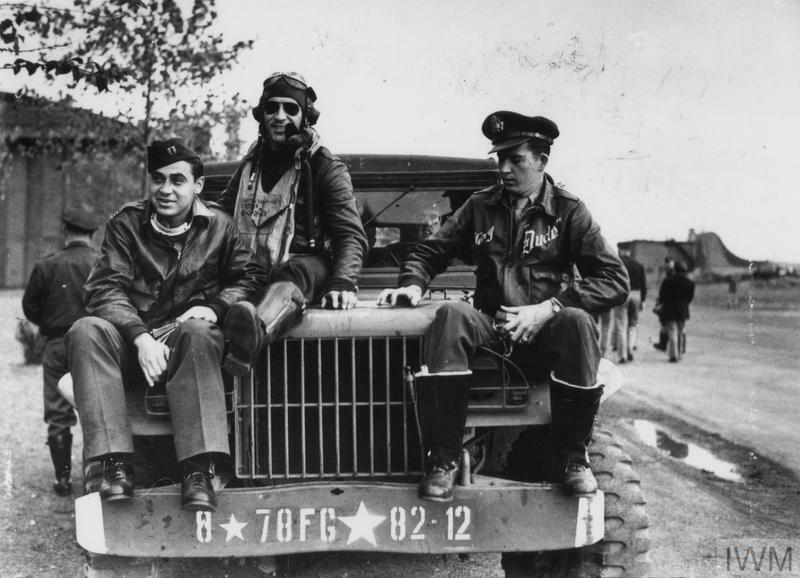 Flight Lieutenant H J F Joncas of No. 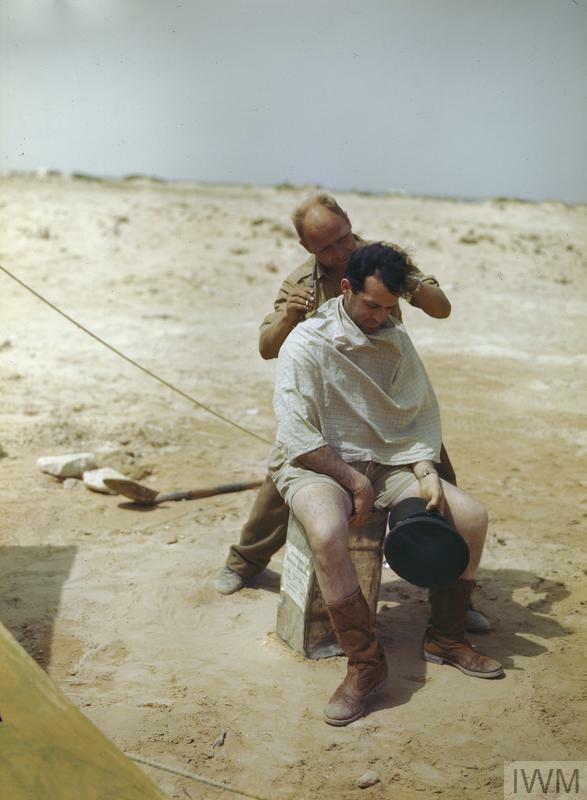 417 Squadron, Royal Canadian Air Force, having a haircut in the Tunisian desert, April 1943.